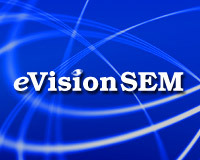 Here are some useful blogs about social media from the eVision blog (and others) over the past year or so. Don’t already have a blog? Should you host you blog as a folder on your web site (or so that it appears to be a folder) such as www.domain.com/blog or as a sub web such as blog.domain.com or a completely different domain?There are advantages to both approaches from a search engine perspective. Some tips help you provide more useful information in your blog ~ Tips to help you promote your blog as well as help sell yourself and your products and services to your blog readers ~ Plus a few usability tips ~ With examples from some of Americas top corporate blogs. Your Customers are talking about you! And your potential customers are listening! A study reported that many people use social media to talk about their customer experience and even more people research companies’ customer service before buying products and services. While not strictly about Social Media this post shows you how results from social media sources will continue to “blended” into the main search results making participating in social media more beneficial. Measuring Audience Engagement in Social Media – Search Engine Watch. In addition to measuirng social meida visits and intereaction via Google Analytics here’s some other metrics you can watch.